I don’t do reviews too often, but since I had to move from the old hosting and tested Eboundhost, I really wanted to do a review to tell the others about their services. They have all types of hosting, from the shared hosting which starts from $3.95 (yes, that’s right, not even $4 for a whole month of hosting) – unlimited space, unlimited bandwidth, with Cpanel/WHM, as well as a free domain name and more professional services for VPS and even dedicated servers. For most people a $3.95/month account is more than enough, but if you intend to host more cpu-intensive applications or more websites, you should consider at least a VPS account. They have a very nice offer – for $41 / month (payed annually) you can have 300 GB of storage, 750 GB traffic monthly and Cpanel/Plesk for free. I think this is a really nice option for heavy-traffic blogs for example or very dynamic websites. Also, please note that there are no hidden limits – many hosting providers put a quite low limit for number of files and/or number of inodes – 95% of all users never reach them, but then again, it did happen to me, so that was one of my search criteria. So far I’ve been impressed by the performance, also really good support, so I strongly recommend it for anyone. 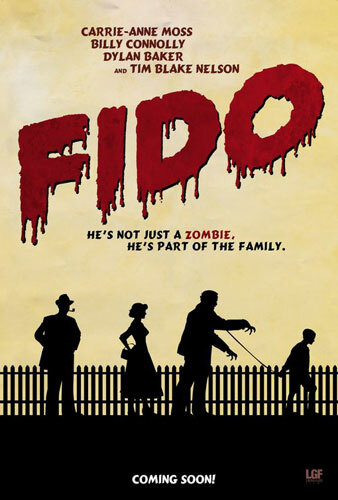 Fido – or why do we love zombies so much? I have to admit, I didn’t see any original movies for a bit, especially comedies (yay for yet another movie with Adam Sandler). But then I found Fido. I have to admit, it didn’t found like much – well, it did sound like a dog, but never mind that. I am a fan of zombie movies (and games really – Resident Evil anyone? ), so as soon as I found out this one’s about zombies I knew I have to give it a chance. And I sure am glad I did.